For most people, wearing braces isn't a very fun experience. We all know that braces can help straight our teeth and give us a better look that might last a lifetime, but to many of us, the time spent wearing braces just isn't that fun. If your dentist gives you the option of a weak or strong wire you should always opt for the stronger one. You will feel a greater strain on your teeth the first couple days after the switch, but once you get used to it, it shouldn’t feel any different than the normal wires. Having the thicker wires can really speed up your overall teeth straightening and could end up shaving a couple weeks off your expected completion date. One of the best ways to get your braces off as early as possible is to follow all of the instructions that your orthodontist gives you. When you first get your braces on, they will give you an estimated outline for your procedure, but if you do everything that you’re supposed to, there is a good possibility that they will come off early. One of the areas that can make a big difference in your braces timeline is wearing rubber bands. Make sure that you wear your rubber bands exactly the way that your doctor tells you to. It is also important to wear your rubber bands at night. Wearing rubber bands can be a bit of a pain, but so are braces in general, so you might as well do it and make things move faster. Some food you eat can stick to the braces and prevent them from working properly. Therefore, you should avoid eating sticky foods such as gum, caramels and toffees. Also, certain drinks, such as Soda can prevent the braces from aligning because they might damage your tooth’s enamel. In addition, nuts and popcorn might get stuck in the braces, preventing them working properly. Therefore, if you want go get your braces off sooner than expected, you might want to avoid this kind of foods and drinks. If you want to get your braces off sooner, you should always make sure to keep your mouth clean. This requires you to form some good habits to do so. For example, you should brush your teeth and floss your teeth at least twice a day, so that you can avoid having food stuck in the braces and bands. Also, you should avoid bad habits such as biting your nails or chewing on pen caps, because those bad habits might damage your braces. Make sure your teeth and gums are clean and healthy, because in the way the braces will straighten your teeth faster than expected. If you are completely tired of wearing your bracing and want to get them off early, then you should discuss your options with your orthodontist. There is always a chance that they can work with you to help you get the braces off early than planned for situations like taking important pictures. 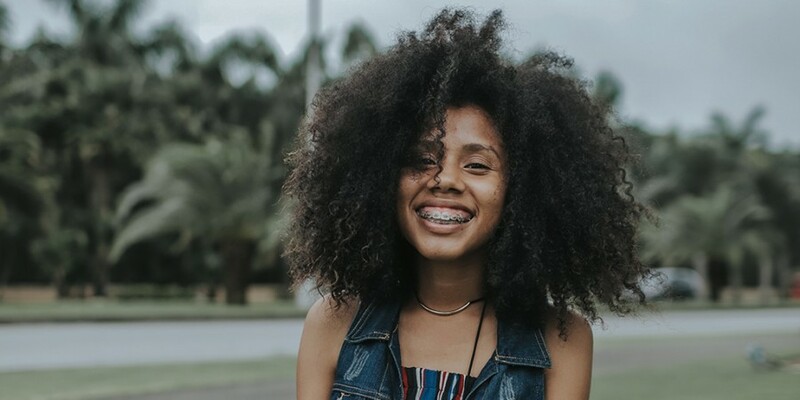 There is a chance that you will be able to wear a well-fitting retainer as a substitute for having the braces if your teeth have reached a certain point. There is also a chance that your orthodontist will be able to tighten your braces to speed up the process, but It might be a lot more uncomfortable than the outlined plan but it could speed things up. The only way to know for sure is to ask, so don’t be afraid to bring up your question the next time you visit your doctor. In this article, we showed some tips for getting your braces off sooner than expected. Even though getting your braces off early seems enticing, if your teeth aren’t ready yet, you need to be patient until the doctor gives you the green light.